Be one of the first to purchase your new home in this beautiful subdivision! 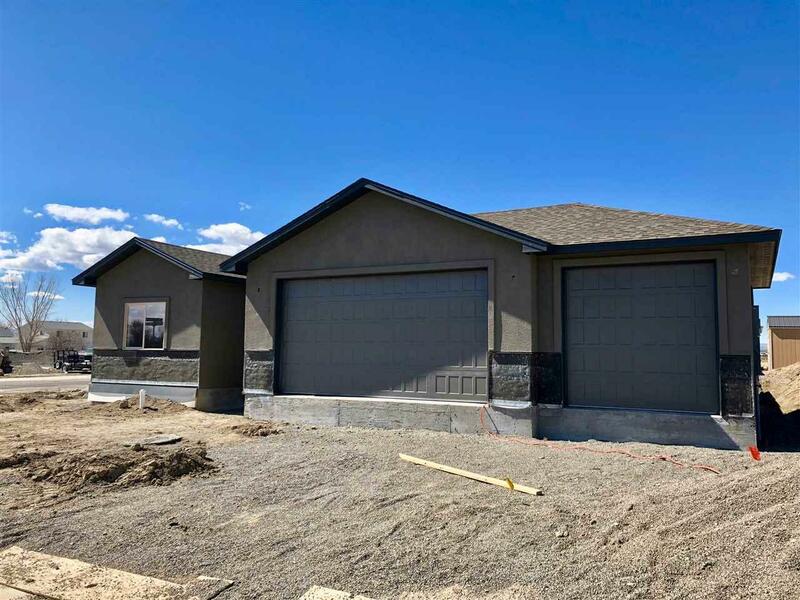 This home is currently under construction but should be finished up by or before the end of April 2019. This is a 3bd/2ba 1676 +/- Sq.Ft. home with a large 3 car garage! Flooring will be a combination of Luxury Vinyl Tile, Carpet, and Tile. These homes will also come with granite countertops, new stainless steel Electric Range, Microwave, dishwasher and top it all off with forced air heating and cooling! These homes are conveniently located less than an hour from Grand Junction and Montrose. This home is a corner lot and provides you with great views of The Grand Mesa. Delta is a great place to live especially if you love the outdoors. Call us now to take a look at this home before it is gone! Listing courtesy of Hb Mason of Mason Real Estate Inc.